According to the survey, 56% of online customers vacate the buying process due to a lack of product information. High-quality product images play an important part in providing customers with all of the necessary information to make a buying decision. Images can have a significant impact on the credibility of a site. Product image is everything for the customers to know exactly what they are getting. It has even been shown that images with white backgrounds have far higher success rates of the item being sold. White backgrounds are popular amongst Amazon and eBay sites for good reason. 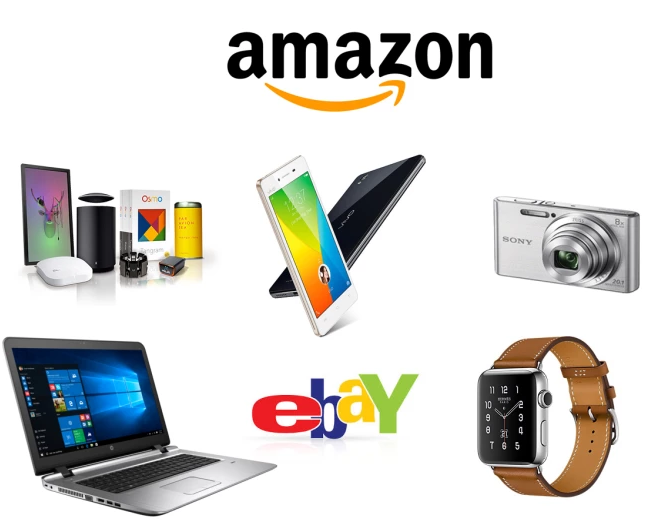 Amazon and eBay have a strict policy of only allowing pictures where the background is completely white. In Amazon image adding guidelines, the product should have a pure white background (RGB 255,255,255). A white background provides the perfect contrast to almost any product. This is especially true in the fashion industry. Almost all of the biggest brands present their products in a highly accurate manner, by using white backgrounds. Natural shadows or reflections are the industry standard for shoes, bags, and accessories while the Invisible Man technique can be an incredible conversion booster for items like shirts, coats, and sweaters. Removing wrinkles, reshaping and color correction can add even more punch to your images. While it might seem easy enough to just take some pictures, it is in your best interest to remove background elements so that you are only left with a white background and the item. A white background is always the preferred method for any product image being sold, whether it is being placed for sale on Amazon, eBay, Shopify or anywhere else. In fact, the quality of images can make the design of a site having a direct effect on the brand’s credibility. In white backgrounds, there are no distractions to see a product. You can focus on presenting the product – the quality of its finish and the detail without having distracting backdrops or focus points. By using a white backdrop, you can complete your shooting process. The cost of searching out locations, hiring a model, a pro photographer, and an art director can make your shoot budget very high. White backgrounds overcome the need for all of this. White background requires a relatively simple process, and even less technical expertise. If you have an online business so you need a good product look and feel to attract a new customer. For this, you need the image background removal service provider for you product enhancement. This makes customers feel that you’re professional and increases trust in shopping with you. It is possible by using white backdrops across all products ensures consistency, contributing to a uniform look and feel throughout the site. Just as it is important to ensure the brand identity of a seller is consistent, the same goes for photography. Let imagine a website where each product was presented a different background, with a variety of lighting and angles. It would get confusing and distract the customers. When we shoot and edit a product image, there is a lot of complication in the content of a scene, differences in lighting, color and focus much more. Editing images of products against a simple backdrop, however, is a lot less time-consuming. For E-commerce business success, you need to invest in high-quality product images that give you a positive effect on business success. The online customer expects the right images on your site. We can help you optimize your images for your website. If you would like to know more about our workflow solutions, please see our portfolio or click here to contact us. Previous Previous post: How Jewellery Image Editing Helps in Boosting Sales?